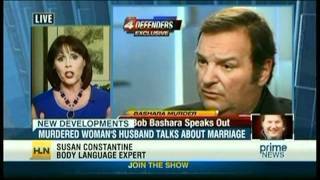 Body language expert Susan Constantine serves as a media consultant on all media platforms. 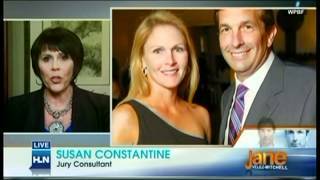 Susan Constantine clips from featured media appearances. Susan Constantine is a leading body language expert / Jury Consultant / Florida Supreme Court County Mediator and President of Silent Messages. Susan Constantine established herself as a leading body language expert, renowned speaker and trainer specializing in “deception detection” through verbal and non verbal communication. For more information about Susan and her services, visit: http://www.susanconstantine.com. 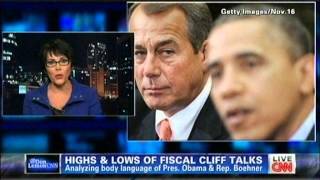 Susan Constantine, body language expert, analyzes the fiscal cliff talks of House Speaker John Boehner, Mitt Romney and President Obama. 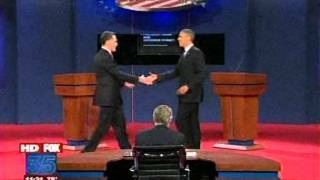 Susan Constantine evaluates the body language of the 2012 presidential debates between Barak Obama and Mitt Romney. 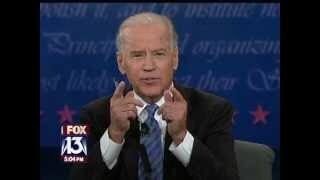 Susan Constantine analyzes with presidential debate for key body language signals. Susan Constantine analyzes the debate candidates body language for hidden messages. Susan Constantine talks about the body language signals for the debate. 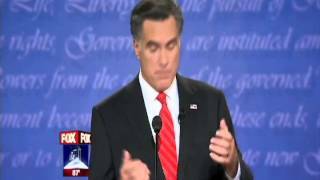 Romney s body language was confident and powerful, gave great eye contact, open body posture and faced the President when speaking. Both need to get rid of the smirks and grin when the other is speaking. 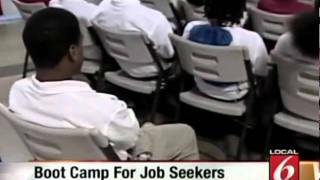 Can it be President Obama? Is Susan Constantine showing Obama how to improve his body language?? 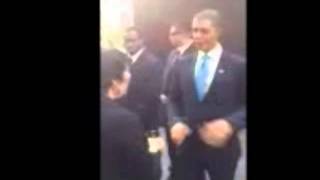 Teaching the real Obama body language? Can it be President Obama? Is Susan Constantine showing Obama how to improve his body language?? Unfortunately no, but this is President Obama s double who appears frequently on Huckabee. Someone captured this video and shared it with us. Enjoy! Susan Constantine body language expert stops by Channel 9 in Orlando to provide insight in the body language of missing fire fighters wife. 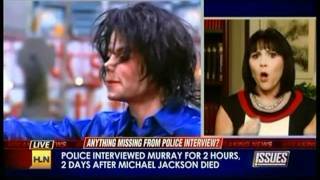 Susan Constantine reviews the tapes of Dr. Conrad Murray. 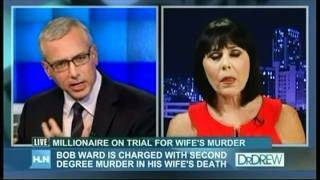 Susan Constantine discusses the verdict on Dr. Ward s case. The jury deliberations, and review of the family. 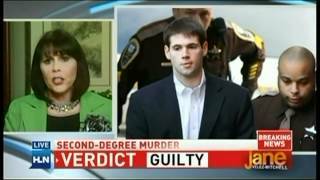 Susan reviews the jury of Dr. Murray s case. Millionaire on trial for wife s murder. 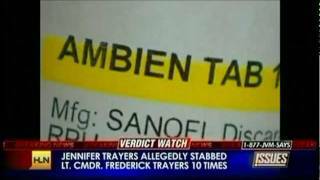 Susan discusses the impressions of the jury regarding Dr.
Millionaire on trial for wife s murder. 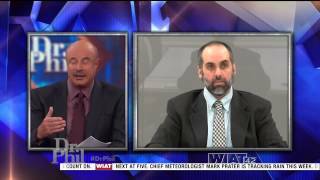 Susan discusses the impressions of the jury regarding Dr. G and attorneys. 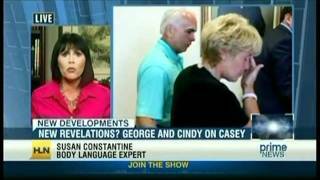 Susan shares her body language expert analysis on George and Cindy Anthony, parents of Casey Anthony. Actions speak louder than words. Susan is the guest speaker on how to spot if someone is lying to you. 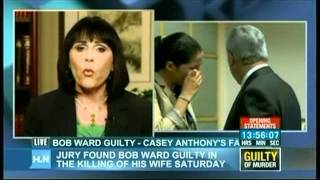 Body Language expert and Jury Consultant Susan Constantines s analysis of the Casey Anthony jury. 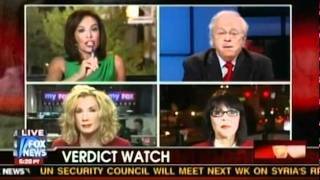 Hannity reaches out to Body Language Expert Susan Constantine for her take on the Casey Anthony verdict. 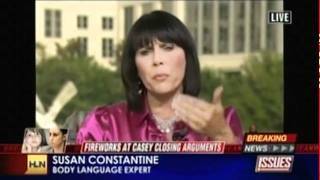 Susan Constantine is a leading body language expert / Jury Consultant / Florida Supreme Court / County Mediator and President of Silent Messages. Susan Constantine established herself as a leading body language expert, renowned speaker and trainer specializing in “deception detection” through verbal and non verbal communication. 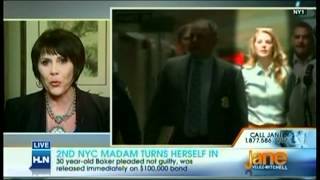 Discussing Judge Perry appointed to the Casey Anthony Trial with body language expert Susan Constantine. 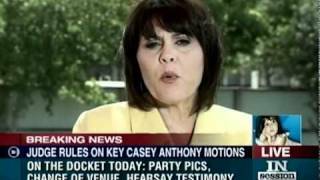 Susan Constantine discussing the party pictures of Casey Anthony and analyzing still photos. 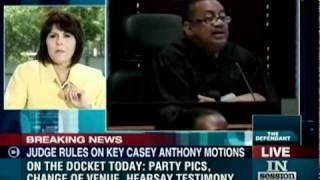 Susan Constantine Body language Expert Analysis of Casey Anthony s new judge and pictures. Analysis of Judge Perry. 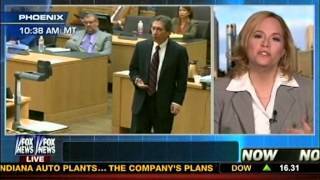 Susan Constantine appears on Fox News, discussing the jury of the Jodi Arias case. 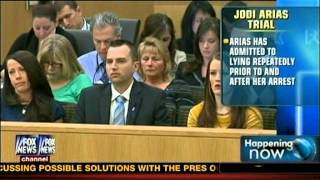 Susan Constantine, jury consultant and body language expert, analyzes the case of Jodi Arias, including the jury on the case. The do s and dont s of dating. Tips on making love connection. 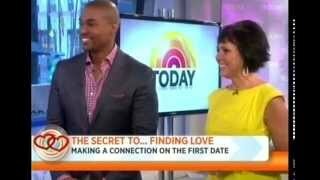 Susan Constantine analyzes the body language for new dates and discusses the environment for a date. Being aware of each others body language helps improve results. Kavanaugh and Ford’s Testimony – Who’s lying and who’s telling the truth? Research has proven that verbal and nonverbal cues can reveal ones true intentions. Through the development of customized body language training programs, participants will be equipped to make better judgments. These body language skills aid in assessing credibly, truth and deceptive behavior in the field. I just wanted to tell you how much I enjoyed your Truthfulness Seminar held in Orlando. I learned so much. I have been a trial paralegal over 35 years and have traveled all over the State of Florida with my attorneys, in both State and Federal Court. I have assisted in jury selection, trials, mock trials and working with our jury experts. Taking your seminar has added to my paralegal superpowers. I’d also like to add that I thought your presentation was excellent, and by far one of best I have ever attended. I actually learned very helpful things that I can use and you kept my attention. Thank you! I wanted to take a moment on behalf of the Criminal Law Section of the State Bar of Michigan to thank you for the program last Friday. I found it helpful and extremely informative. My wife, who is not an attorney but a business owner also found it so informative that she is encouraging her trade organizations to consider putting on a similar program. You may recall that when you, Elaine and I first spoke, I told you that several members expressed skepticism about the program and the science behind it. In my humble opinion, you fully addressed any areas in which they expressed concerns, and you educated all of us. On behalf of everyone at One Alliance and the entire I Am Brave team I would like to extend our heartfelt thank you for your participation as a key-note in the September 19th 2015 “I Am Brave” Orlando Women’s Success Seminar! The feedback from this Seminar has been extremely positive! Thank you not only for wanting to be a key-note but also for sharing your personal journey and expertise with our attendees. We know that this took extra care and skill to adapt your presentation to this style of delivery especially with the way we are going about and revamping the “Seminar” sub standard. All attendee responses have been in complete awe of the information that was obtained through your keynote alone. Once again, thank you for sharing your blueprint to success and all the knowledge you have within you to help support and motivate the Women of Orlando to always reach for their true happiness in all aspects of their life. We know that this would not have been as strong a conference without your story and name not being attached to it. Thank you for taking part in our purpose driven “I Am Brave” Women’s Success Seminar. It was a pleasure to meet you on October 28/29 and we thank you for your excellent presentation at our legal seminar. Almost unanimously, your presentation and subject matter received rave reviews from attendees. The feedback has been overwhelmingly positive. It was a great session, and we will be incorporating many of the tools you taught in our due diligence process going froward. I think the training yesterday in Savannah (Feb. 19, 2015) was the most interesting and informative that I have attended. Thank You. William Hawkins. It was a pleasure attending your CLE program yesterday in Savannah. In spite of my 40 plus years of experience, I found it very enlightening and beneficial. Your program can be worthwhile for attorneys of any level of experience and the manner in which you present the information is excellent. Thanks for such a wonderful program. Michael Shein and I have been training together and have found it very beneficial as to both the substance and leveraging it by doing it jointly. 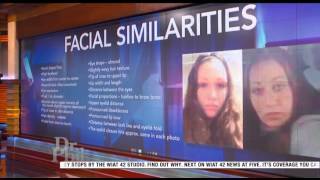 Doing it together allows us to bring to the table witnesses, clients, and others that we have known and dealt with in various contexts to use as examples beyond those “faces” provided by the seminar, as well as bringing analogies of our own to help identify particular facial tells or cues. So, your help is well founded. We are not done. We plan on going back and continuing what seems almost like playtime! Your Evaluating Truthfulness seminar that I attended today (very back row, on the end, to your left) was the best CLE course I’ve been to since I started practicing in 2004. I loved it! I intend to study and practice with your materials often. I just wanted you to know how much I really enjoyed the workshop that you put on in Atlanta today. As a former federal prosecutor, I had some general exposure to a few of the concepts, but I find the whole subject matter fascinating, and I thoroughly enjoyed it. I am going to recommend to my old US Attorney’s office that they sign you up for a seminar! I really enjoyed your class today and found the information fascinating. You did an excellent job. It was one of the best CLE courses I have ever taken! Such a dynamic presentation at CAI in Sarasota . Informative, educational, entertaining, memorable. Our group was extremely fortunate to host your presentation! Thank you for a terrific program. You have a fabulous, engaging communication style. Your workshop was informative, entertaining, provocative, and very beneficial, one of the best I have ever attended. Email high five! – Author – Present Your Way to the Top (McGraw-Hill, NY 2010). Legally Speaking: 40 Powerful Presentation Principles Lawyers Need to Know (Kaplan Publishing, D.C. 2009. The course I attended in Jacksonville last Thursday was absolutely fantastic. It has enabled me to be a better mediator by seeing how clients respond with their “hidden” facial expressions to the mediation process. Thank you for this useful tool to aid in my practice. It is with great pleasure that I write this letter of recommendation for Ms. Susan Constantine. I have personally seen her work on several occasions and have found her to be a consistently dynamic presenter with a solid, knowledge based program geared to upbeat and fast paced learning. Ms. Constantine was in Miami at my behest where she conducted training sessions with a very diverse constituency, including police officers, attorneys, private sector security personnel as well as dozens of our protective investigations team members. Her training skills provided for these different disciplines to merge into one cohesive group and maximize their learning in the given time frame. I have also observed Ms. Constantine instruct under pressure situations involving significant peer evaluation and she performed flawlessly. I have no hesitation in highly recommending her as an outstanding trainer and speaker. I discovered Susan while watching CNN and thought she could shed some light on the body language of the first female movie director in history, Alice Guy Blaché. Susan was incredible! Susan gave us insight and humanized Alice Guy Blaché in a way that we didn’t think was possible. The insights in The Complete Idiots Guide to Reading Body Language opened my eyes wide open to see through a new lens. A must read for everyone! Susan’s book, The Idiot’s Guide to Body Language, cuts through all the fluff and gets to the meat of the subject so readers can find answers and learn how to read body language quickly and easily. It’s a great reference guide for professionals of all kinds — especially for those who work in the legal field and law enforcement. Susan has been a regular guest on my KFI Los Angeles talk show many times over the past 2 years. 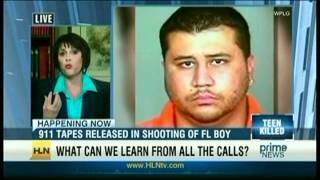 I am always impressed with her insights into the people and cases we cover. 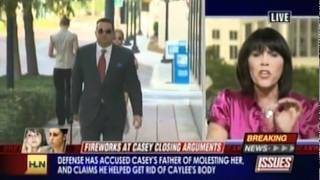 She was our ‘go to’ analyst during the Casey Anthony trial. She brought to life the characters and their flaws in a way the audience really responded to. The audience fell in love with her! Susan is a great story teller and has a way of taking you inside the courtroom and inside the minds of the people in it. She can spot a liar it seems, every time. The book will stay close to my desk for a long time to help me spot the truth when I see it. Susan Constantine started her professional businesses in the wellness industry. Through the years, while hundreds of other business owners watched her develop and morph her entire business into a small empire, they did not attempt to grow or branch out. Many are still where they were when they all began their businesses together. But Susan’s ability to tap into the human psyche and connect with “what people felt” versus “what they said” led many professionals that knew her to the realization that she had a keen ability for detecting her clients’ needs and their true internal conditions (despite what they were saying). That ability was more than just a skill set and many of her professional friends in the legal arena, law enforcement and higher education realized that she could actually look at a person’s subconscious behavior and see into the individual’s mind. As her spa businesses flourished, she too realized her abilities would be better served in a more professional capacity, not just aesthetics. While she continued developing her professional businesses, she had been simultaneously investing her spare time into writing her thesis, earning her bachelors degree, followed by her masters degree and now she’s working on her doctorate in psychology. As a result, Susan built SILENT MESSAGES, a professional investigative firm where she participates in legal cases supporting both trial attorneys and prosecutors. Susan recently returned from Washington, D.C. where the Department of Justice, Defense and Homeland Security, held a joint training program where they brought her in to teach their top level military officers’ (and other professionals from all branches of service) on how to detect deception. We are very proud to partner with Susan Constantine’s SILENT MESSAGES! I wanted to take this opportunity to thank you again for the wonderful training you provided yesterday at DODIG. I have received nothing but glowing comments from those who attended the event. Midori Yanagihara, Historical and Legislative Researcher, Washington D.C.
Susan Constantine has brought about a whole new dimension to watching political debates and speeches. Perhaps this is one way for voters to break through the carefully crafted image of a politician. Susan Constantine might justly be called one of the world’s leading experts in lie detection. Her resume is thoroughly impressive, beginning with where and with whom she trained to the impressive list of many whom have hired her. Constantine is a formidable presence. She teaches classes, mostly to attorneys looking for an edge in recognizing truth in their clients and witnesses, and she has been sought by legions of others who want to know who is telling the truth and who is not.